* Prices are given in USD on Arealight's web site; the Clear torso is USD 3.50. Just thought I’d drop a very quick review of these curved minifigure torsos, available from the infamous customiser Arealight. I’ve been meaning to get hold of some of these since I first heard about them, and having sold quite a few S7 minifigures gave me the opportunity to obtain some. 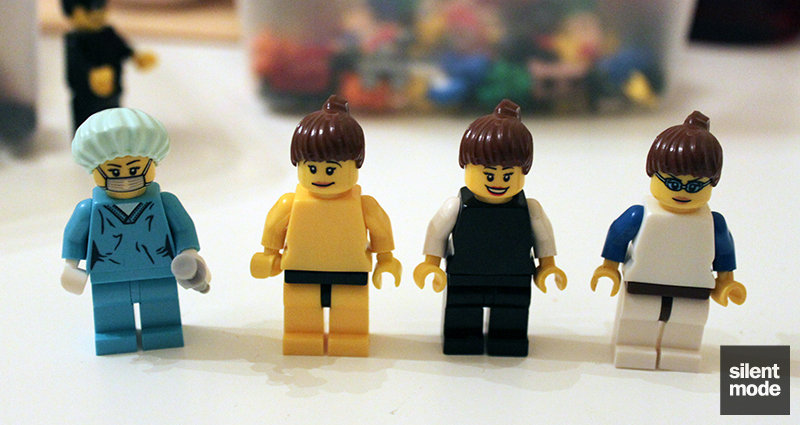 These curved minifigures were designed to “give your female figs a shapely hourglass figure”, and is certainly an interesting concept – especially if you’re into building a large collection of female figures. But do they make any noticeable difference? Originating from Taiwan, the order took just over a week to arrive from the time of ordering. I’d actually forgotten all about it, but I know how long it took because I’d placed the order the day after I’d posted this. As a nice surprise: included in the order was Arealight’s signature Tentacle Head and Headscarf, both in Brown. Not sure if I have a use for them yet, but we’ll see. My order consisted entirely of curved torsos in colours I’d most likely use: four Yellow ones and two each of Black and White. 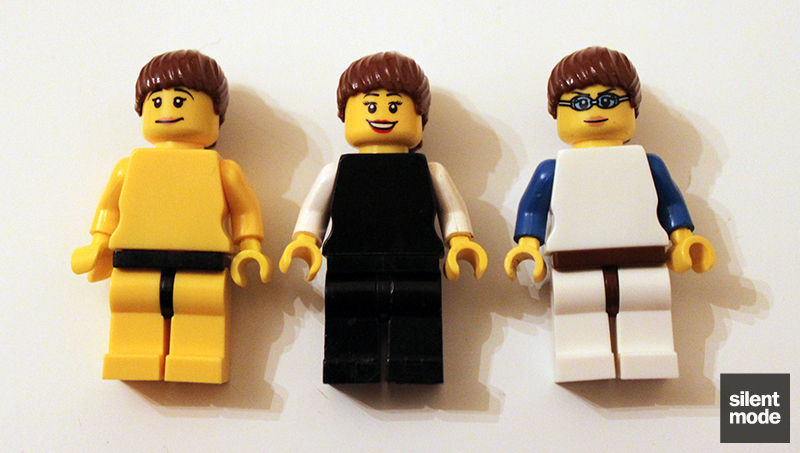 The torsos are available in many of the basic LEGO colours (including Tan, Sand Blue and Sand Green), and some come with a limited range of prints. It’s likely, however, that you’d be more interested in applying a decal to one of these. 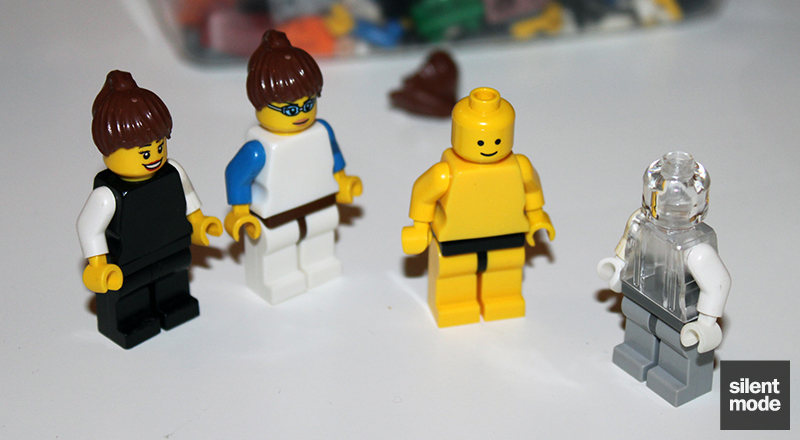 You’ll also notice I just had to try the Clear torso, of which I bought one. I wanted to lay to rest the possibility of a transparent minifigure being “impossible”, as some have often officially and unofficially stated. 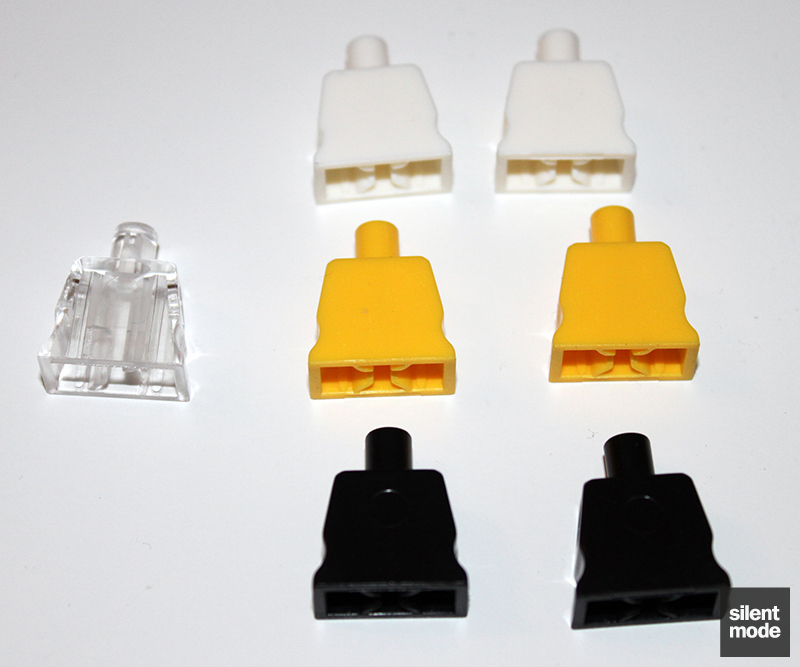 The torsos almost look like official LEGO parts, particularly as they have the “cross” holders for the legs. Hold one in your hand, however, and they definitely feel like a different kind of plastic. At first glance, the curves placed on the sides of the torso (to give them their distinctive shape) seem insignificant, and we might be left wondering why we’d bother purchasing these over regular torsos, given that the curves are so small. Let’s bear in mind that the hip pins have to be inserted into the torso and held there, as well as there having to be spaces for the arms, so there really isn’t much space to have a curve in the first place – but there is a curve, and if we’ve bought one of these it’s because we want our figures to have a more natural hourglass figure. After ten minutes with the S6 Surgeon, three test subjects emerge from the table with their new bodies. On display here are the yellow, black and white varieties. Taking a closer look at each figure, it takes a while to notice the curves in the torsos, but they are definitely there. It works particularly well with the black torso against a white background. 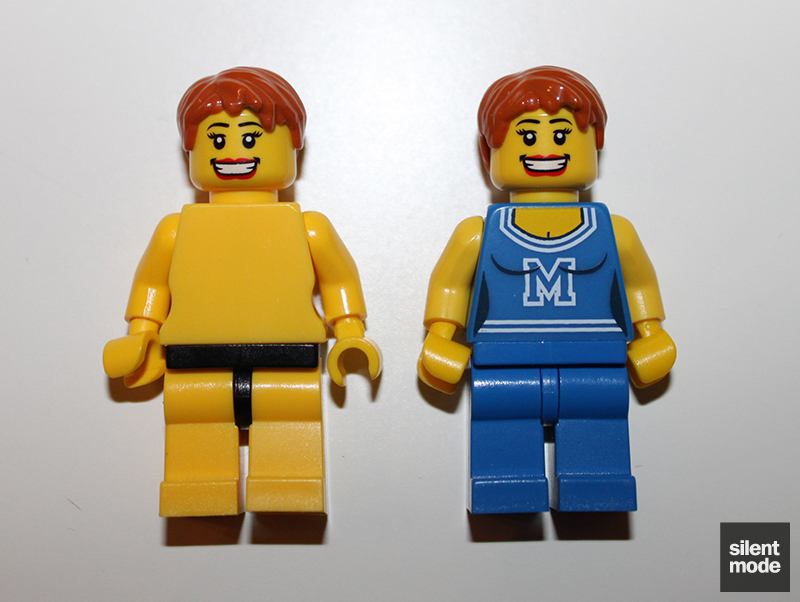 As you can also see, the torso colours match the official LEGO colours very closely. You know, it’s easy to pair these torsos with female heads and imagine they’re more feminine, but what happens if we use a non-female-specific head? Well this is interesting. While I wouldn’t think this figure looks more feminine with the curved torso, it does give the figure a more interesting shape than usual. Wouldn’t it be cool to see official minifigures look like this? More importantly, this picture shows that the figure could be male as well as female. This look would work well with a naked torso decal, or perhaps one where the figure isn’t wearing very much. Let’s talk about the clear torso for a second. First of all you should know that the clear torso is slightly more expensive than the other colours (USD 3.50 for clear, USD 2.50 for the others), but the reference picture given on the site is fairly accurate. 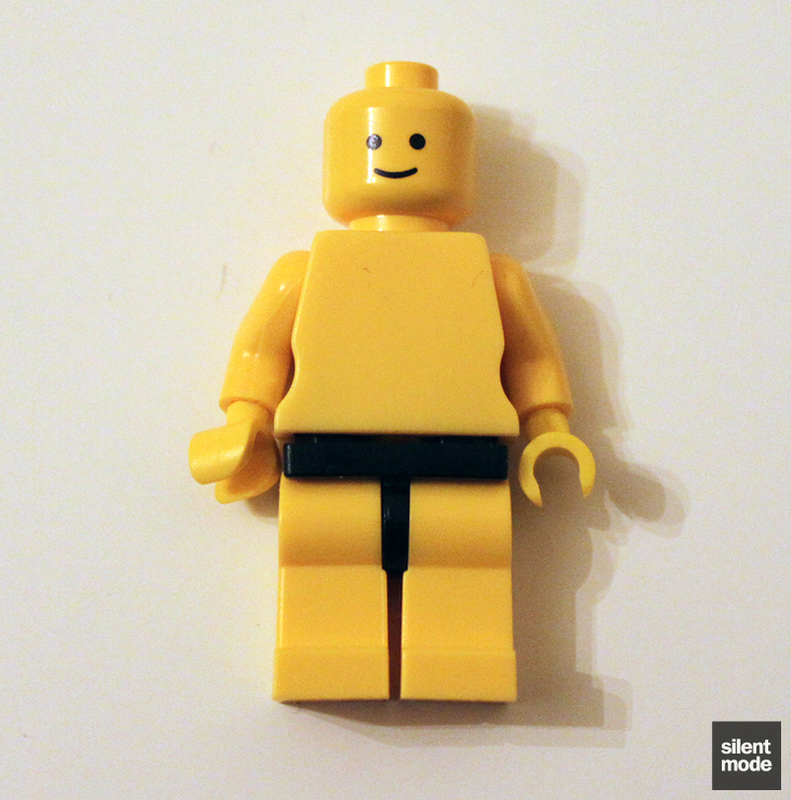 Only a head exists as a transparent minifigure part, so I’ve created this abomination with spare parts to demonstrate this torso’s application. You can see how the arms and hips fit inside. I did find that the arms were harder to apply to the clear torso than the others, although it could be the arms rather than the holes on the torso. The arms were also a little stiff to move around once inside the torso, almost as if they were too close to the sides compared with the other colours. Generally they were okay. Whether or not you’re able to see the curves on the transparent torso, I’m a little excited about the possibilities for customisation. 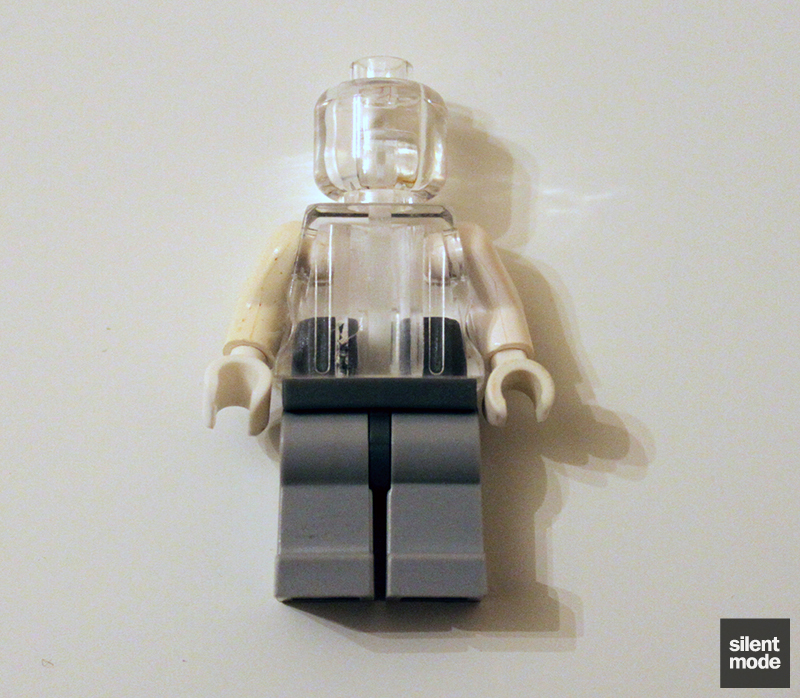 Sure we might not be able to create a completely transparent minifigure, but that’s where imagination and creativity come in. Curved torsos are a good concept for a custom minifigure part, and particularly noted is that it’s not necessarily just for female figures – if that was the case then the curves would be better served on a different part of the body! In any case they work rather well with existing LEGO parts; be sure to have a good supply of arms and legs if you’re going down this route. If you’re designing decals for female minifigures, how to represent the curves on the sides is no longer such a big issue. The only issue I have with them at the moment is that they’re a little too easy to separate from legs. This won’t be so much of an issue if you’re customising figures for display in a case, but it could pose a problem when light play is involved. The arms are slightly more difficult to attach to the torso than official torsos, but they do fit. 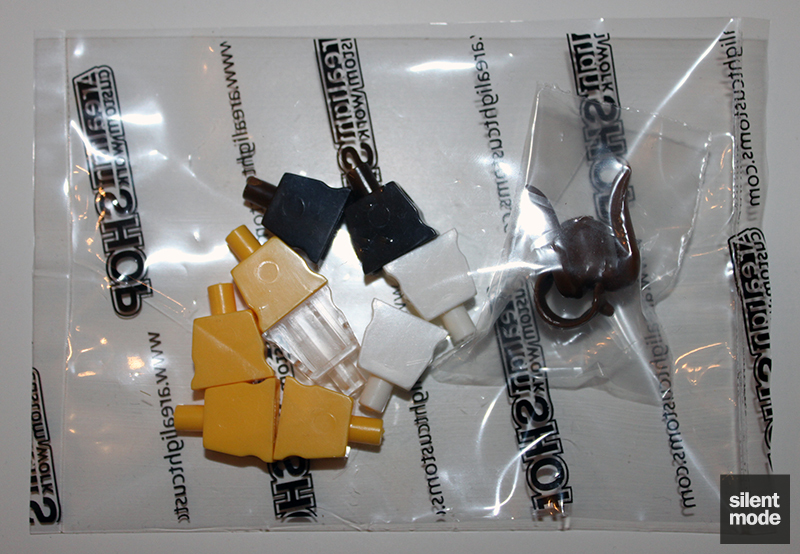 It’s a relatively expensive part, and Arealight has a USD 10 minimum order policy, but if you’re interested in doing more with your minifigures it’s worth giving a try. If you’re unsure about taking the plunge, have a look around for examples of what other people have done with them.